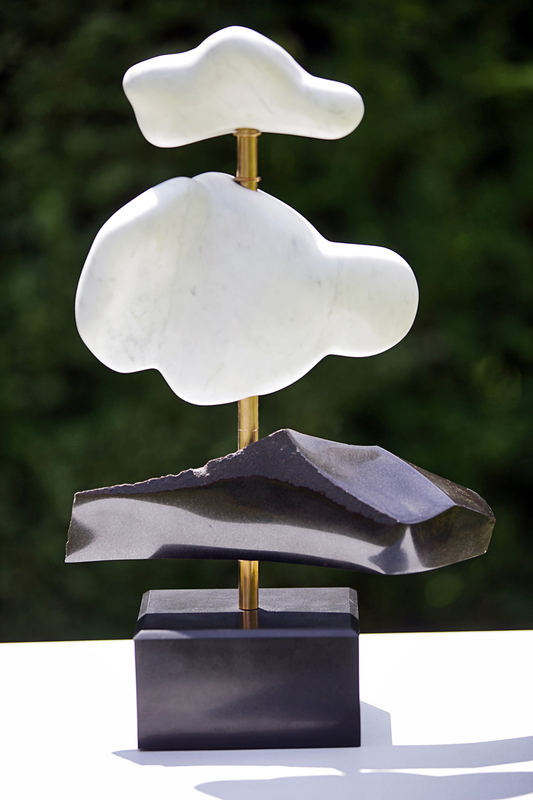 Rain Storm – basalt on steel with granite – SOLD. Rain 1 – granite on steel – SOLD. My Studio is part of the Freeland Art Studios in Freeland on Whidbey Island. Almost all Photos on my website are by Michael Stadler. Thanks to Marsha Morgan, Sharon Shoemaker, Kathleen Wiens and Matt Monforte for other photos. A beautiful day in Vernazza (Cinque Terre)! Through Nice and Monaco, now just crossed into Italy, a lovely walk. Already enjoying the stone, marble floor at the Nice airport. New sculpture in process, a dunite fish.